Ramadan is a month full of Ibadah for all the Muslims. But we often tend to forget that children also need to learn the true essence of Ramadan. And what better way then to introduce the essence through arts and crafts? This Ramadan, I am definitely be going do a few crafts with Azlan. One of the crafts is the Ramadan moon and stars and we kind of took it up a little notch. Templates of clouds, starts and the moon. For the cloud, just apply a lot of glue on the cut out and start applying cotton balls starting on the outer edge of the template. Once done, you can add a few drops of blue paint to give it a 3d effect but that is optional. For the moon, same as before, just apply glue to the template and start sticking buttons. There was a point when the glue dried up a bit but we just applied glue to the buttons directly and stuck it to the paper. After all the buttons have been glued on, make sure that you keep a heavy object on top so that the buttons stick on properly. For the stars, Azlan and I glued the stars on the back of the glitter sheets and then cut them out. I had a few raindrops lying around (baby shower props) from before so I added them for a little touch of colour. Punch a small hole on the top of the cloud and thread the jute string to make a loop. This will go on the twig. Make sure that you have added support near the punched hole otherwise the cloud will rip and fall. Stick three jute strings on the back of the cloud with scotch tape and slow start sticking the moon and the stars on those three strings. It is totally up to you, whether you want three strings or two. I kept three including the rain drops. Azlan absolutely loved making this! Especially sticking the buttons on to the moon. I hope you loved this little craft activity! 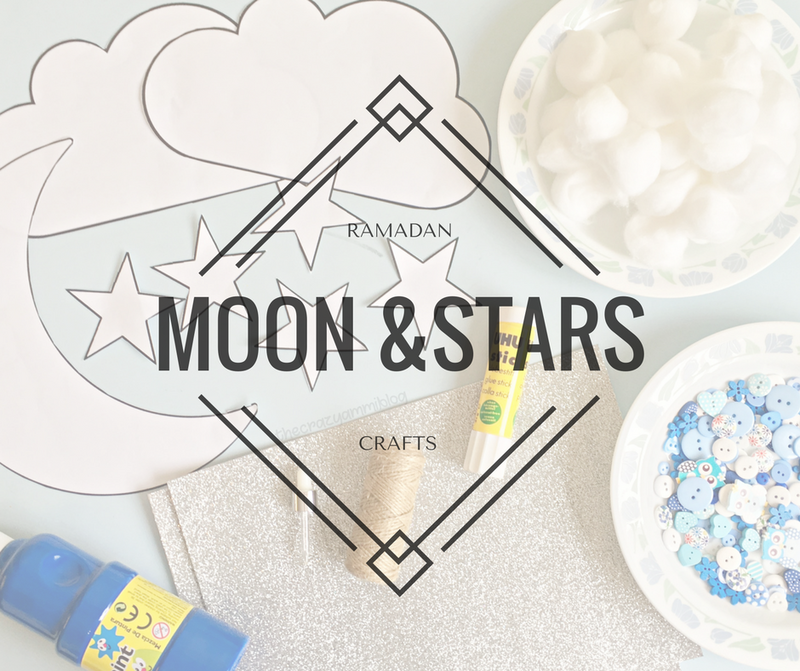 Will you be doing any crafts with your little ones this Ramadan? Most importantly, will you be creating this craft activity with them? So cute. A great thing craft session to try with the kids. What beautiful crafts for Ramadan and a great way to teach children about our faiths and beliefs. This is lovely, I'm going to try it out with my students at school. What an adorable craft! Love how it turned out! MashaAllah lovely work and idea. These are so lovely, in particular the lovely button moon. Absolute genius! 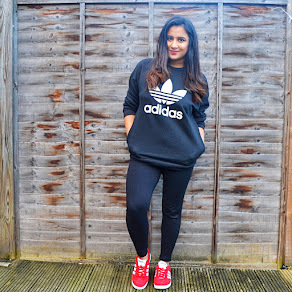 Love this craft bookmarking it now. Seems like great fun for crafty little fingers !